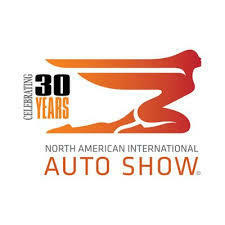 It’s hard to believe but this will be my 24th Detroit Auto show, aka The North American International Auto show. When it was re-branded and re-positioned it grew in size and stature and was the Mt. Rushmore of automotive events. This unfortunately is no longer the case. The show, like the industry it supports, is evolving and the old ways and locations that used to work no longer fill the bill. It is struggling for relevancy and future inclusion in the industry’s rapidly changing cycles. I began to notice the changes that were taking place in the number of events and programs that were taking place BEFORE the show’s official opening. This trend continued again this year as Ford, Cadillac and Cox Automotive chose to conduct their events before the show opened. Ford’s off site event was held Wednesday and was heavy on trucks, SUV and the two “halo” cars that will remain in their product ladder-The Shelby GT Mustang and its GT super car. One of the events that I truly look forward to is Cox Automotive Industry Insights breakfast. This event is in its 6th year and is always jammed packed with opinions, facts and thoughtful analysis. This year was no exception. The overall theme of the presentation this year was “disruption”. They also commented on its effects on the various tentacles of the automobile industry now and in the near term. Charting their corporate evolution as an example of changes caused by disruption in their field, the Cox Company got its start as a newspaper. Then expanding first to radio, then it moved into over the air broadcast TV, to which it added cable TV and now digital transmission and the internet. Cox Automotive took the cue from The Auto Channel business plan back in 1994, they were finally convinced that they need to be more than a car racing entity. They followed The Auto Chanel roadmap and bought automotive information companies to add service capabilities across its impressive roster of divisions and capabilities that met the vision that The Auto Channel blueprinted for them. Disruption in the auto industry is at a level that is unprecedented and is coming from many fronts-changing technologies, consumer habits and economic uncertainty-just to name a few, but in spite of these pressures the industry as a whole had a surprisingly successful year. In fact 2018 was the fourth best year EVER. This near record growth was fueled by President Trump’s tax reform and high consumer confidence helped propel the industry’s sales(in units) over the 17,000,000 mark for new vehicles while the total market volume including all transaction was north of 28,000,000 units. The big winners were Jeep, Land Rover and Subaru. All electric start up, Tesla, also had a strong showing by increasing production and solidifying its position as the leader in electrification. On the flip side Chrysler, Fiat, Genesis and Jaguar have some work to do. Fleet sales are once again figuring back in as this segment picked up an 8% gain year to date. These economic facts when combined with leading indicators including low unemployment and strong consumer confidence, despite the predictions of a recession, led Cox chief economist Jonathan Smoke to predict a 16.8 million forecast for 2019. He also pointed out some interesting trends. One of which is the share of retail sales transactions under $30,000 is declining while those over $50,000 have increased to 30% of all sales. That’s an incredible leap and points to the growing disparity in the market that is taking shape. Another interesting trend to keep an eye on is the way in which you and I get around. What I mean is that currently 93% of all miles traveled are in sole owner vehicles. In other words the car/truck/SUV you own and drive every day. This figure is going to be reduced as Millennial's and GenZ have a larger impact on these numbers and the data that is extrapolated from them. Their shift to other means of transportation like ride hailing services most notably Uber or Lyft, Ride sharing services and vehicle subscriptions will continue to grow. As this trend and changes take hold the cost per mile will be reduced. Currently the cost to operate a vehicle you own works out to $.50/mile compared to $1.30/mile using hailing services. As this number is reduced these options will be more affordable to consumers with $.60/mile as the threshold that will significantly drive this transformation. Mobility and autonomous driving systems will continue to be relative but the break neck speed of their introduction has been significantly reduced as the focus shifts back to increasing the driver’s safety as opposed to being the driver. Some of these facts and figures were on display when Cadillac introduced the latest SUV to the Two Letters luxury brand at an extravagant, invitation only event Sunday night. The event felt more like a club’s grand opening that a vehicle reveal. The XT6 was the star of the show, but for a brand that has done less with more, this three row SUV promises big things-most notably filling a gaping hole in its lineup. In addition to the reveal Cadillac’s president addressed the crowd of dignitaries and lauded Cadillac’s future as the brand that will be carrying the corporation’s electrification mantle. It was a not to subtle shot across Tesla’s bow, but given the short attention span and lack of commitment to past endeavors(remember the EV-1), I doubt anything of consequence will emerge. Well that sums up the show before the show. The official press preview were the 14-17, but given all the pre-show activities, the reduced number of manufactures who chose to attend this year and there really is only one day. I will have a recap of the highlights, share my thoughts and insights from the show floor later in the week. Stay tuned to The Auto Channel for all the information on NAIAS 2019 and everything else happening in the automotive world.